Oh, yes. I am going to try to do this. I have big plans right in the middle of the month so I already know I will not be able to finish the challenge in a solid block of 31 days. However. I do intend to try as best I can around my other hobbies. So for as long as I can, I will paint my nails every other day and just complete one theme on each hand. 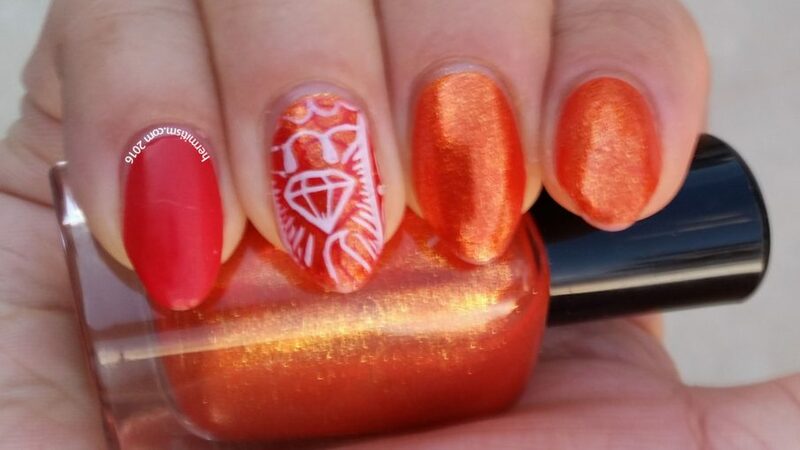 On Thursday, I completed red, but I also painted my right hand with the orange. It’s a much simpler design than I’ve been doing lately, but I still love it since glitter is involved. 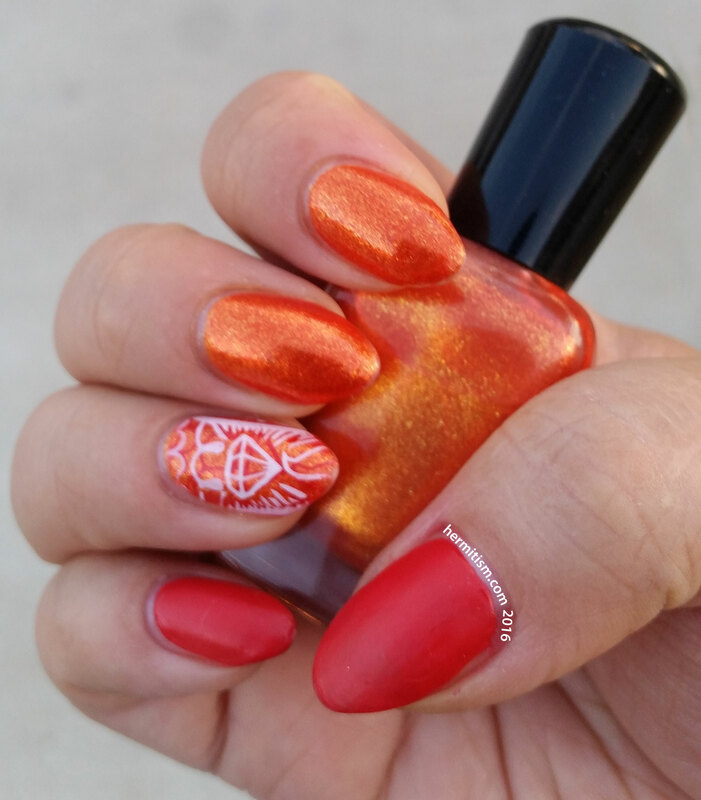 That orange polish is so pretty! I love all the shimmer in it.